DE: Wie wir auf dem Blog bereits berichtet haben, ging es für uns vor Kurzem nach Ibiza, wo wir ein paar wunderschöne Tage verbracht haben. Als Blogger muss man im Voraus immer so einiges planen, aber eines der wichtigsten Dinge für einen Sommerurlaub sind dennoch die Beauty- / Sun Care-Produkte. Denn ohne die richtige Pflege für Haut & Haare geht schließlich nichts 🙂 Wir haben dieses Mal sowohl unsere altbewährten Favoriten mitgenommen als auch ein paar neue Produkte getestet, die wir alle bei Douglas geshoppt haben und werden euch nun unsere absoluten Travel Beauty Essentials vorstellen. EN: As you might know from our last Travel Diary, we’ve recently been on Ibiza where we’ve had an amazing time there! 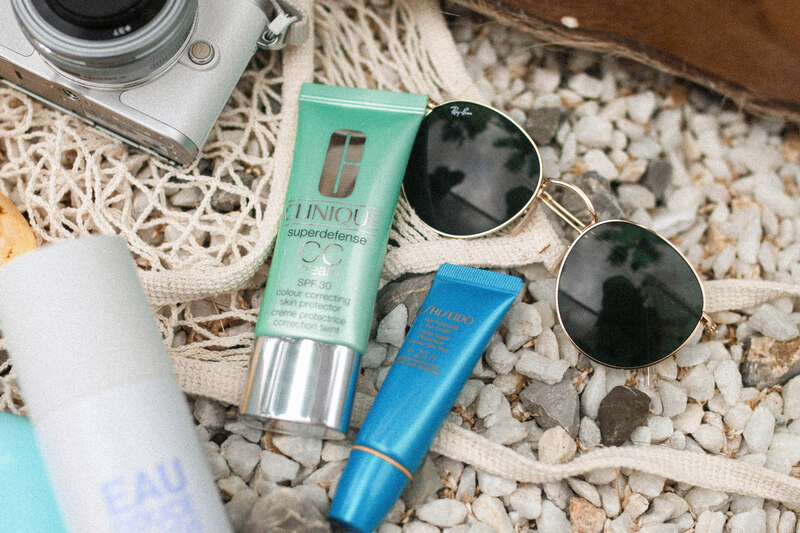 As a blogger you have to plan a lot of things before going on a trip but one of the most important things is still beauty and sun care products. 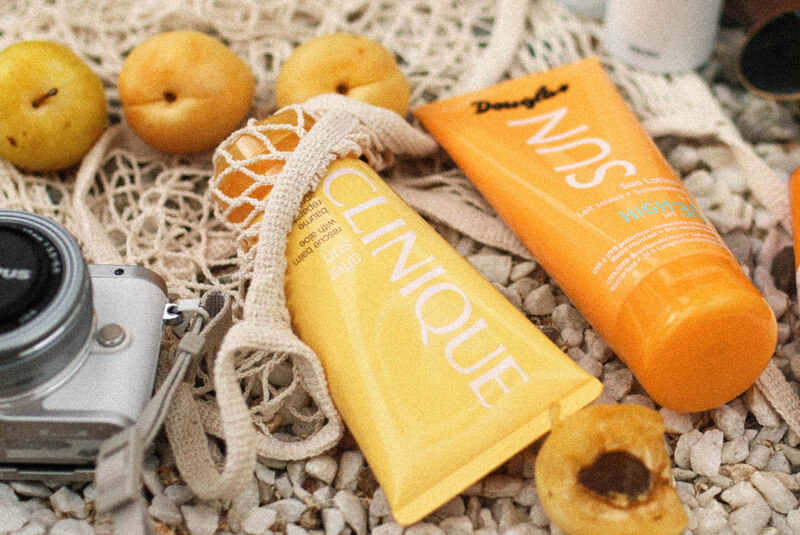 This time we took some of our well-tried products but also some new products which we all found at Douglas and now we’re going to reveal our absolute holiday beauty essentials! Let’s start with the most important product: the sun screen. Here we’ve already been using the one from Douglas for a long time now. Prior to that we used a special sun screen from the pharmacy since we’re very allergic and our skin often tends to actinic dermatitis after bathing in the sun. That’s on the one site not that good for your pocket and what was even for important was the smell. 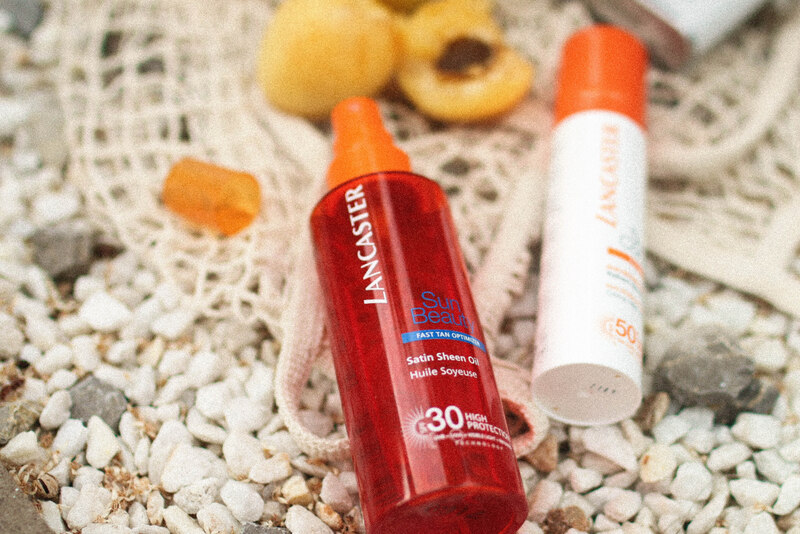 We loove it when sun care products have a lovely, summery smell – you probably know that 🙂 and that’s what was missing. 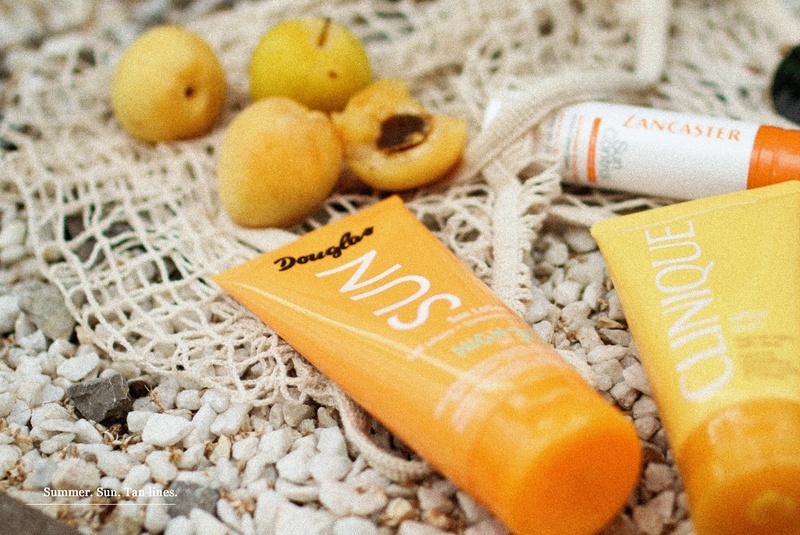 Therefore we started looking for another option and then found the Douglas Collection Sun Care. The smell instantly convinced us, it’s very easy to applicate and also moisturizing. So the perfect choice for us. Find the product HERE. Besides the normal sun care we’ve currently also been using a tan booster. We tried this tan optimizer from Lancaster for the first time since we’ve heard a lot of good things about it. And it’s true. You become so much more tanned in a very short time! Besides the smell is super nice. The only thing is that you of course need to use more product because it’s an oil but we finally reached such an intense tan that it’s definitely a product we have to recommend 🙂 Find the product HERE. As you might know we have very sensitive eyes which is why we also need extra care when it comes to sunbathing. We can’t use the normal face sun care because it always starts to burn in our eyes. 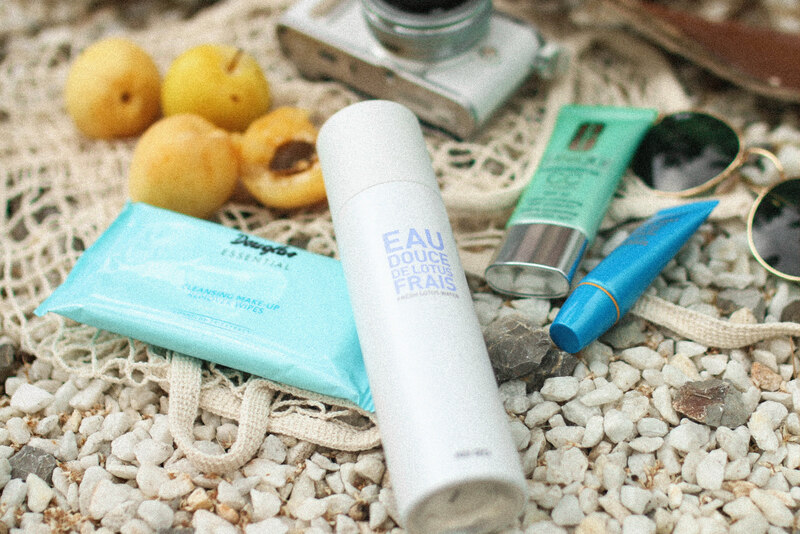 Therefore we use an extra eye cream with sun protection factor from Shiseido. It’s perfect for sensitive eyes so you should definitely try this product if you also have this problem. Find the product HERE. We’re totally convinced about this product! We basically have such dry skin so it is totally necessary to have a good, moisturizing after sun care. And that’s what the Clinique After sun definitely does. You instantly notice that it nourishes your skin and of course we really like the design of it 🙂 Find the product HERE. Again a product from Douglas which we really love! Since we’re coloring our hair a lot, we have very dry hair. If you add sun, salty or chlorine water to that, well, you can literally forget our hair. We’ve been using this conditioner before but during this trip it convinced us even more. For the first time we didn’t have such damaged and frizzy hair, so also one of our favorites! Find the product HERE. What we always have with us on holiday is a face mist. 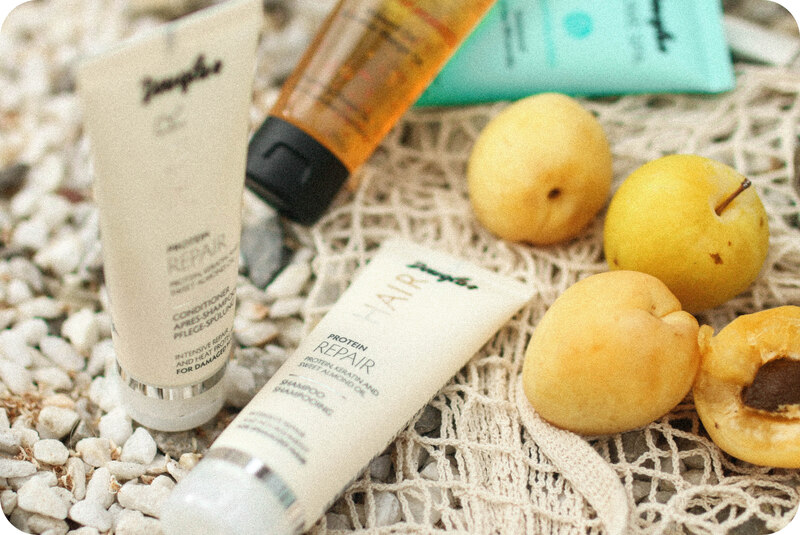 Perfect for a little refreshing or for calming your skin after sunbathing. This product from Kenzo exactly meets these expectations and it has a really refreshing smell on top. An absolute must have for us! Find the product HERE. What is more annoying than wearing make-up during summer holidays when your skin is already so irritated? But if you still want to cover up some red spots and have an even teint we can really recommend the CC Cream from Clinique. It has a quite firm texture but you can still spread it easily and it also has a SPF. So perfect for summer holidays. Find the product HERE.